Computer science is the scientific and practical study of computation: what can be computed, how to compute it, and how computation may be applied to the solution of problems. Student will student units which relate to programming, algorithms and decomposition. Information technology is concerned with how computers and telecommunications equipment work, and how they may be applied to the storage, retrieval, transmission and manipulation of data. Students will develop their understanding of application software essential for every day use. Digital literacy is the ability to effectively, responsibly, safely and critically navigate, evaluate and create digital artefacts using a range of digital technologies. The Computer Science qualification is relevant to the modern and changing world of computer science. Computer Science is a practical subject where students can apply the knowledge and skills learned in the classroom to real-world problems. It is an intensely creative subject that involves invention and excitement. The Computer Science GCSE values computational thinking, helping students to develop the skills to solve problems and design systems that do so. These skills will be the best preparation for students who want to go on to study Computer Science at AS or A Level and beyond. 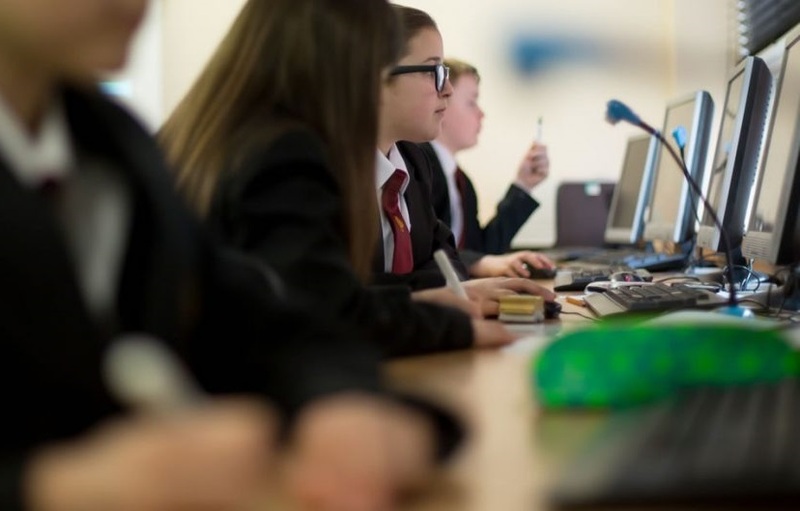 The GCSE in IT enable students to become independent and discerning users of IT, able to make informed decisions about its use and aware of its implications for individuals, organisations and society. Students will acquire and apply creative and technical skills, knowledge and understanding of IT in a range of contexts. They will develop IT-based solutions to solve problems, develop their understanding of current and emerging technologies and their social and commercial impact. Students are able to recognise potential risks when using IT, and develop safe, secure and responsible practice. By studying this course students’ will become independent and discerning users of IT. They will be able to make informed decisions about its use and be aware of its implications for individuals, organisations and society. In addition to this they will also acquire and apply creative and technical skills, knowledge and understanding of IT in a range of contexts. Students will also develop their understanding of current and emerging technologies and their social and commercial impact. They will be able to design and create websites and other digital products for every day use. A number of courses are offered at Key Stage 5. For this course students complete 4 units in year 1: Information Technology Systems, Creating Systems to Manage Information, Using Social Media in Business and Website Development. As students progress into year 2 they will further develop their Information Technology knowledge by completing units in Programming and Computer Games Development. Students complete 4 units. 3 externally examinations and 1 project. Through the course students will develop their knowledge and understanding of the development of IT systems through practical experience in using a range of applications software in a structured way. Students will also gain a wider picture of the use of IT. Students will be able to discuss and comment on issues from a position of knowledge. They will also investigate the fast changing subject of IT, including developments in technology and IT system capabilities, and how this might affect the world that makes use of IT.